The SRP-4x4 is a UL listed and FM approved Fire Alarm/Releasing Control Panel. Primarily designed for use as a releasing panel for Pre-action and Deluge water-based extinguishing systems, it may also be used as a stand-alone Fire Alarm Control Panel. The SRP-4x4 is ideally suited for many commercial and light industrial applications. 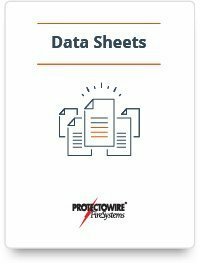 Download our data sheet to learn more about the features of Protectowire's SRP-4x4 Fire Alarm/Releasing Control Panel.